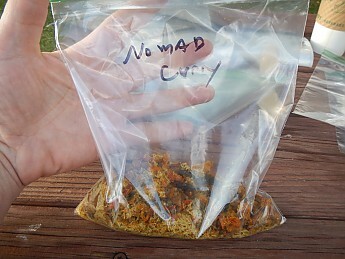 A tasty curry dish that surprised me with its freshness; this one doesn’t taste rehydrated. I’ve never knowingly had a Nepalese-style curry, but if this is representative, I’m a fan. I just wish there was more in the package. 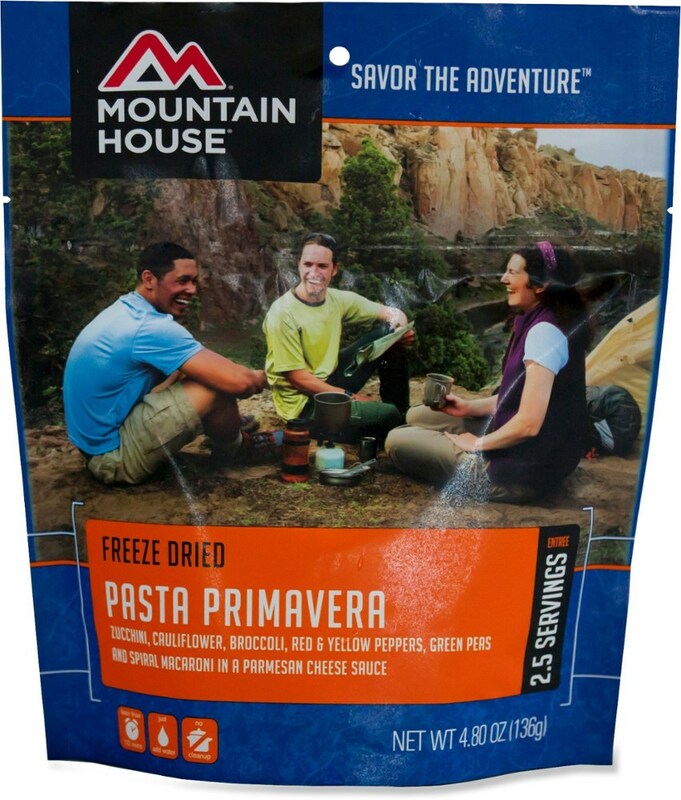 As I’ll mention in all the Nomad reviews: I consider this the best brand of dehydrated, prepackaged food I’ve tried to date. It’s an expensive but high quality product. When I was messaging back and forth with Alicia (Trailspace Co-Founder and Editor) about testing some food items, I mentioned that I would only be interested in vegetarian options (I’m not actually vegetarian or vegan, I just rarely eat meat). 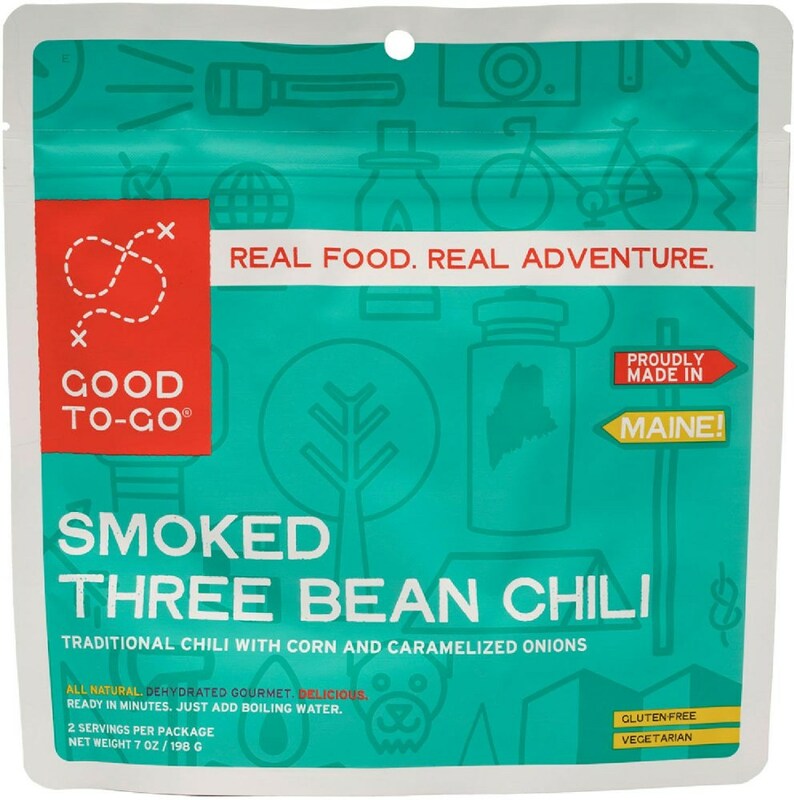 For those excluding meat altogether, the pre-packaged choices are understandably limited in the backpacking/dehydrated food genre. I was quite intrigued when Alicia came back with this brand as I had never heard of them before. 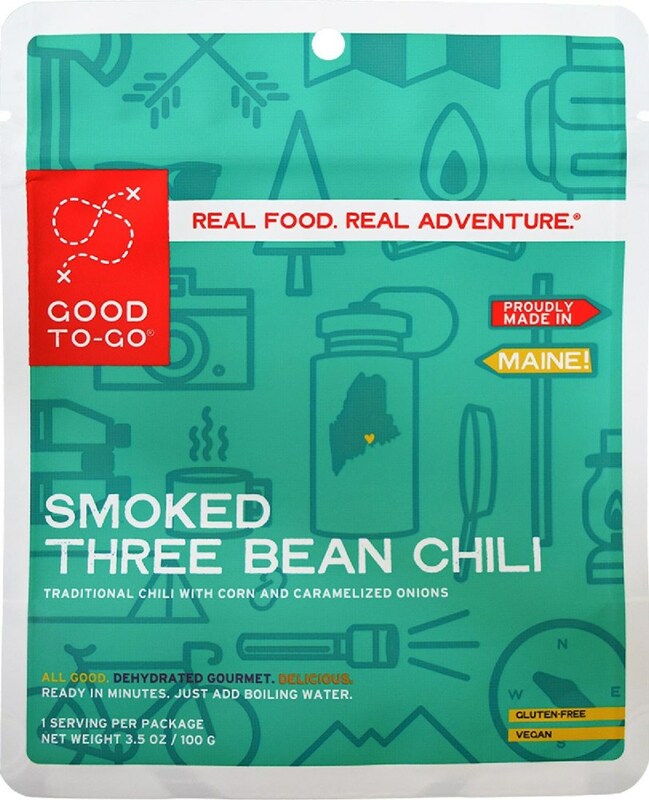 As I read about the company and product my interest was piqued further; you can check out their story here but I’ll relate that all products are plant-based, possibly non-GMO /organic (they don’t claim to be fully non-GMO/ organic but state that they “do their best” to use those type of ingredients), produced in small batches and nutritionally optimized for athletes. I also like it when companies are aware of sustainability and commit to using local farms. This is a just-add-boiling water meal so it can be prepared in the bag or in a pot. It requires only 1 cup of boiling water and 7-10 minutes to reconstitute. 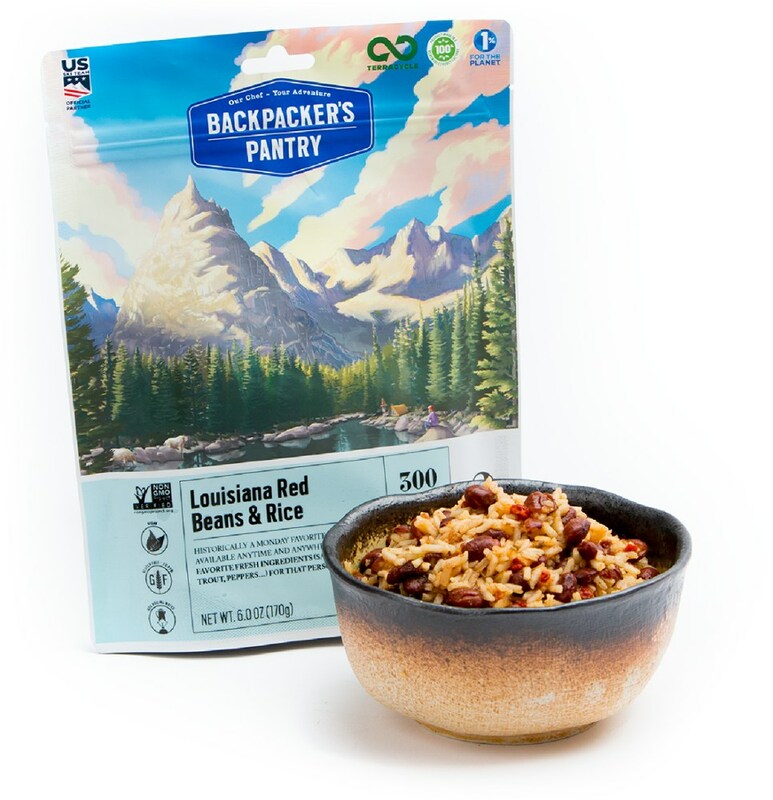 The packaging is paper with thin aluminized panels and works well as a disposable cooking cozy. 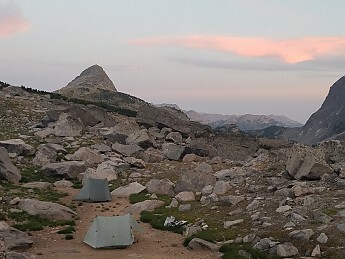 The first time I prepared this I was out of my head tired after a brutally long day of off-trail scrambling and had forgotten this only needed one cup of water. I added two cups and turned it into a soup. It was still good and quite tasty, but it’s better with the recommended amount of water. 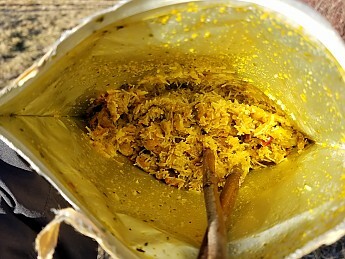 I’ve eaten lots of Indian food over the years and most curry dishes I’ve tried are really hot. This one surprised me as it wasn’t hot at all; indeed, it was my first tame curry experience. 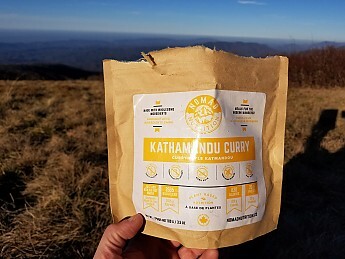 I don’t know if this is typical of Nepalese-style curry but I found the subtle spicing really suitable to a back-woods dinner experience. 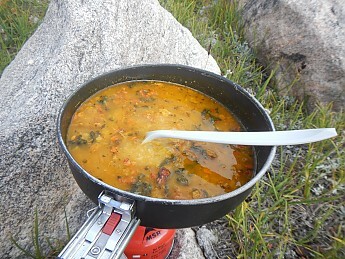 As I’ve stated in other Nomad reviews; you can discern individual ingredients in this dish and I find that delightful. This is one area where this meal let me down a bit. I did not find it to be as substantive as I wanted for my primary meal. It certainly feels like you are getting good energy and nutrition, but I needed more food after I ate this. When you prepare it with the recommended amount of water, the texture is wonderful. The mouth-feel is like fresh food and noodles. 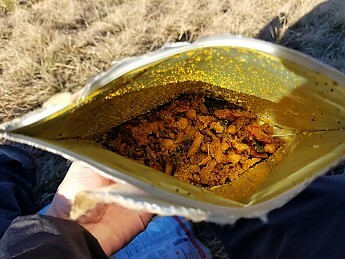 I was really impressed with this one as it did not seem like dehydrated food. 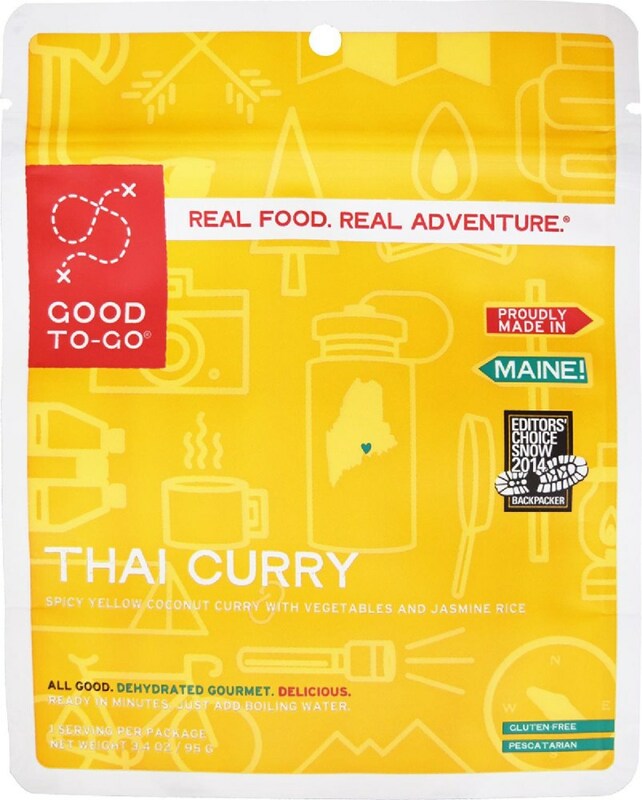 If you like a tamer curry, this is for you. 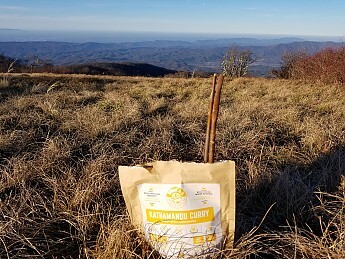 Like all the offerings I’ve tried from this brand, the naturalness and taste-able ingredients are a welcome departure from the standard dehydrated fare. This dish has an especially fantastic texture; I just wish there was more in it and that it was less expensive! 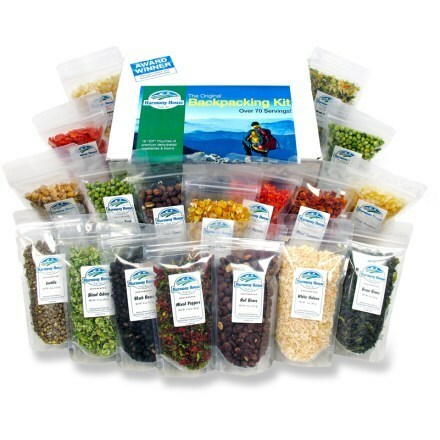 I have over 8000 miles of trekking experience in the last decade and I've tried many, many brands of pre-packaged meals out there over that time span. I was sent three packages of this flavor for review and have tried it twice so far. Haven't heard of this brand before either, but it looks like a good (albeit, pretty expensive) option. Great review! Good news! Those prices were actually Canadan. The meals are USD $12 for large and USD $7 for small. 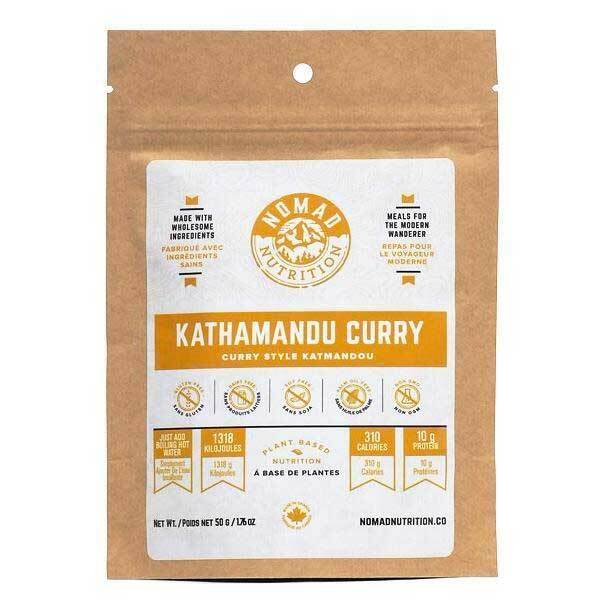 The Nomad Nutrition Kathmandu Curry is not available from the stores we monitor.